Member of the FinTech Task-Force and in charge of the Commission Communication on FinTech. 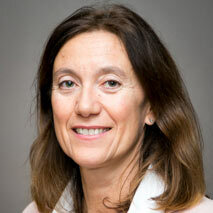 Delphine Leroy is working as a policy officer in the Directorate General for Financial Stability, Financial Services and Capital Markets Union (FISMA) in the financial services policy and international affairs unit. She has been a member of the FinTech Task-Force of the Commission since 2016. She joined the Commission in 2008, occupying a number of positions in the field of financial services policy and evaluation. Before joining the Commission, she has held a variety of financial positions in listed companies and external audit firm. She holds a Master Degree in Business Administration from HEC Paris School of Management.